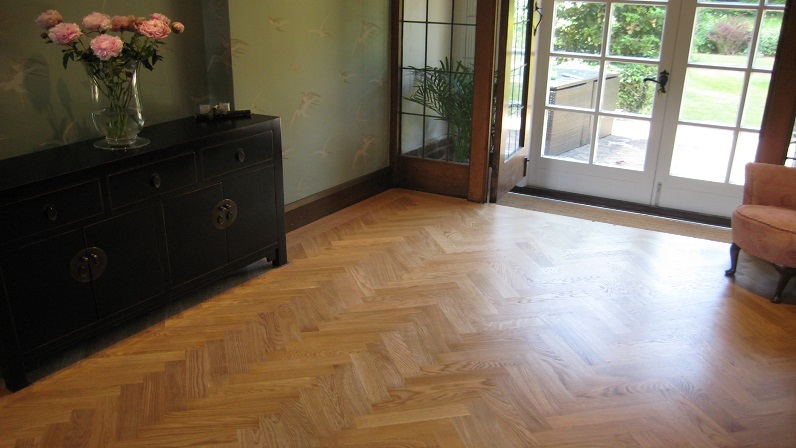 From design to installation and finishing, creating traditional parquet herringbone, chevron and panelled wood flooring with traditional or modern appearances. Specialist techniques and advances in materials mean wonderful parquet flooring can be installed over under floor heating. Usually a multilayer construction with final a veneer of solid hardwood, 3.5 – 6mm thick. Not prone to warping or excessive movement. It cannot be differentiated from solid wood flooring. Every piece of timber is unique and has the character and appeal of solid wood flooring. Solid hardwood flooring can be new or reclaimed wood of any width, length, thickness and species. Wood flooring can cover a spectrum of colours and specifications. Prefinished or Unfinished. No single technique can reproduce the character and distinctive patina of reclaimed wood flooring. We are delighted with the job you have done. We will enjoy the wooden floor for many years to come and always think of you. Many thanks James you have done a superb top class professional job. But that’s hardly surprising, as you are a true professional. Great…. thanks for everything. 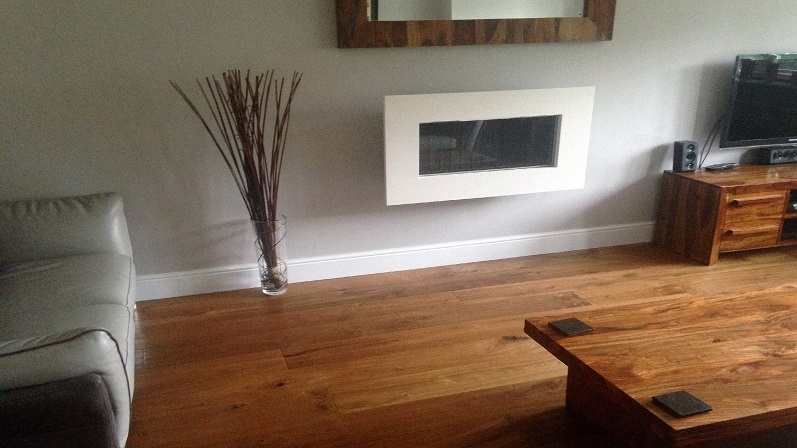 The wood floor looks brilliant, you give a high standard service and we are both very pleased. We had several people price for a parquet floor in our dining room. James stood out from the rest with his knowledge and ideas. I was instantly confident that he could deliver what he promised. My expectations were exceeded and our parquet flooring looks amazing, the envy of all our friends. I would recommend him with confidence.